Disclosure: The bloggers participating in this event have NOT been compensated for this post. Networking Perks provides honest opinions, beliefs or experiences on products reviewed. Networking Perks is NOT responsible for prize fulfillment, Jackpot Candles will be sending the prize directly to the winner. This event is in no way associated with, sponsored, administered, or endorsed by Twitter, Google, Pinterest, Facebook or any other social media. If you have any questions or would like help in promoting your own product please contact me at Joie@NetworkingPerks.com . The disclosure is done in accordance with the Federal Trade Commission 10 CFR, Part 255 Guides concerning the use of Endorsements and Testimonials in Advertising. I’d like the Vanilla Cupcake Jewelry Candle or the Cinnamon Bun Jewelry Candle. 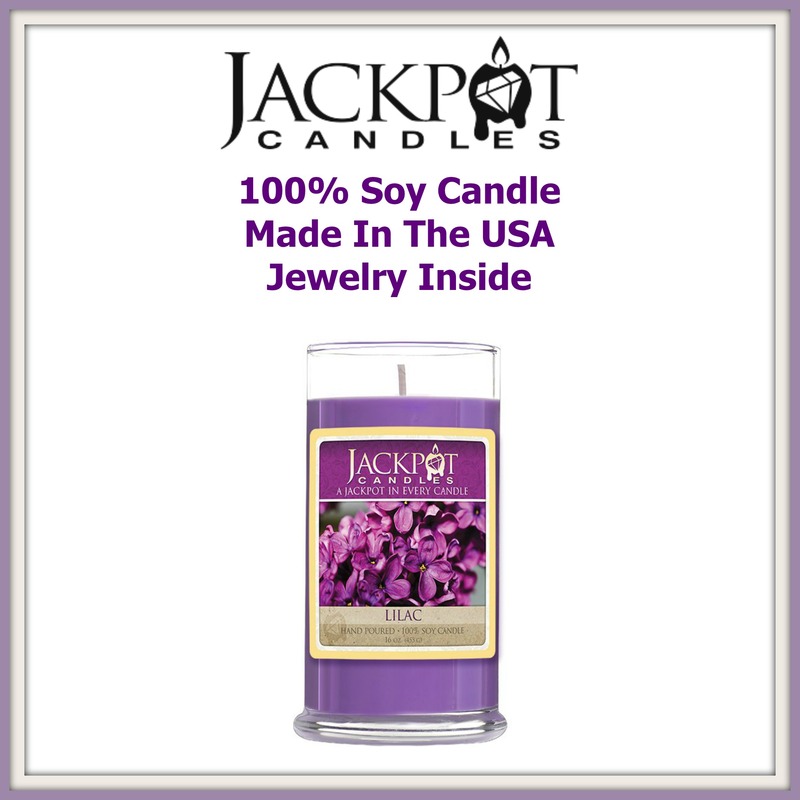 I would love to have the Warm Apple Pie jewelry candle! I would love to win the Jack Frost candle, it is too cute! I would love to try the Christmas jewelry candle! I’d love to have the Cinnamon Sensation Jewelry Candle. I would love to try the Jack Frost Jewelry Candle I would love to see how vanilla and peppermint smells together. I would love the Cinnamon Sensation candle because I love the smell of cinnamon. They all sound so wonderful, but I would have to choose Cherry Blast Jewelry Candle. My hubbys favorite scent is cherry! The Birthday Cake Candle is the one I would like to try! I would use it in my kitchen to make it smell yummy! Wow, I bet the Banana Nut Bread one is awesome! That would be my choice. I’d love to try Jack Frost for Christmas! I would love to have the Lilac Candle. I would love to try the Mixed Berry Jewelry Candle. If I won, I would love to have a Jack Frost scented candle with ring in it. Thanks for the chance. I would love to have the vanilla cupcake. Vanilla is my absolute favorite scent. I would love the pumpkin pie candle! I would get the Watermelon Jewelry Candle! I would love the Lilac, nothing like the smell of flowers. I wold love to try the Cherry Blast candle, I love fruity candles. I’d pick the Valentine Candy Hearts Jewelry Candle and save it for Valentine’s Day! Cucumber Melon is always great! hi, i miss the scent from our lilac tree that blooms every spring so i would choose ‘lilac’. The Cherry Blast sounds wonderful! I’d like to try the Pumpkin Pie Jewelry Candle! I would choose the Jack Frost Candle for the up coming festive season! I’d like the Candy Corn Jewelry candle! I want the Georgia peach jewelry candle because I’m a Georgia peach myself. We would love to have the cinnamon bun jewelry candle! I love it when the house smells yummy and welcoming, like fresh backed treats! I would love the pumpkin pie candle! Yummy. I’d love to have Banana Nut Bread. Yum! Love this concept of a ring in my candle. I would like the sweetpea. I really really want one of these. And what great presents they will make!! ANY woman or girl would love one. I’d love to try out their cucumber melon scent first of all. I would love to have Sweet Pea. I’d love to have the Jack Frost candle. I love candles at Christmas. I’d love to have the Mixed Berry one! I would like to have a Jack Frost candle because it would make a great Christmas gift for my mom. I’d love to try the vanilla cupcake candle. Cinnamon Bun would smell amazing! That would be my choice too! I love cinnamon! I would pick either Caramel Coffee Latte or Mixed Berry! I would like the lilac jewelry candle. How fun! The Caramel Coffee Latte scent sounds great! The Birthday Cake candle looks fun! I would love to have the Salted Caramel ring candle. I’d like to try the Jack Frost candle. I would love to try out their Jack Frost candle and set the mood for cold weather!